This is one of the best light motorcycles available. Quick precise handling, powerful ABS brakes,enough power to keep up with the big boys on Tassie’s winding roads. 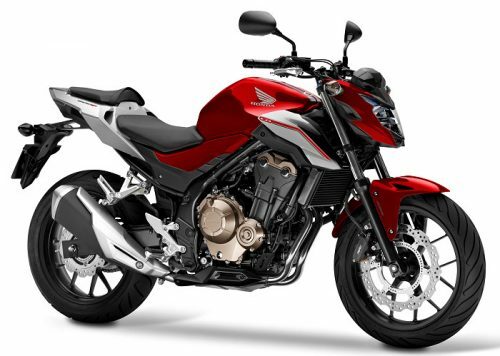 Our Honda CB500F is equipped with Rear Box, Givi Panniers, heated handlebar grips. A fun motorcycle for a one up tour of Tasmania. If you have a passenger you might be better on one of our other fine motorcycles. ABS to keep you safe. The water-cooled, 475cc, fuel injected 2 cylinder motor. Riders over 25 years old. full licence or at least 1 year road riding experience. 320km per day free then 70 cents per km. Kilometres are averaged for the duration of your ride. Helmet, Jacket, Pants and Gloves included free if required. $4500 as credit card imprint or equivalent security. Bond is refundable upon the safe return of our bikes.